Poutine. It’s a love hate relationship. We absolutely love the tastes, flavours and texture of the iconic Canadian dish, but, hate how we can’t sustain ourselves solely off eating it for breakfast, lunch and dinner. 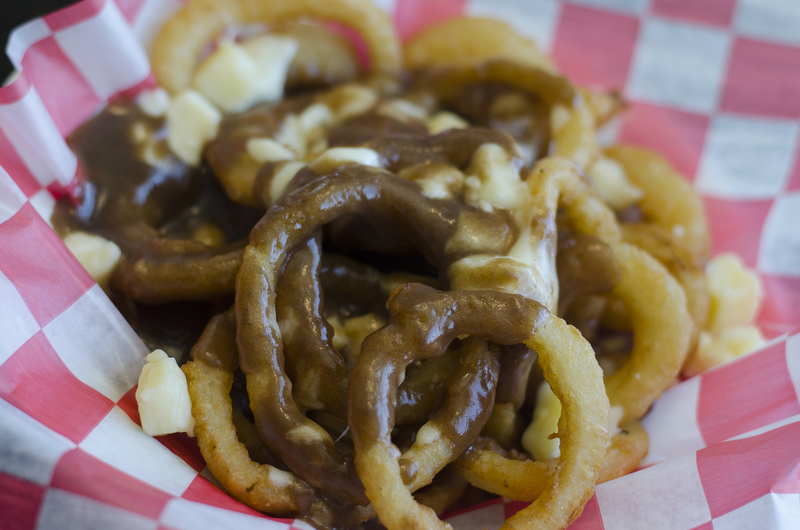 The Onion Ring Poutine from Garfield’s in Harrow, Ontario. 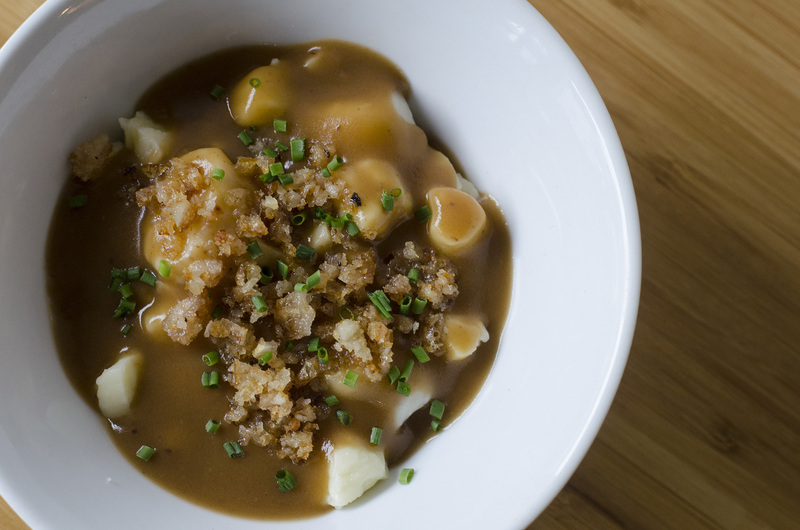 We’re starting off the list with a poutine that doesn’t even include French fries. It does, however, include another deep fried goodie: onion rings! It makes Garfield’s the perfect stop when enjoying wine country. 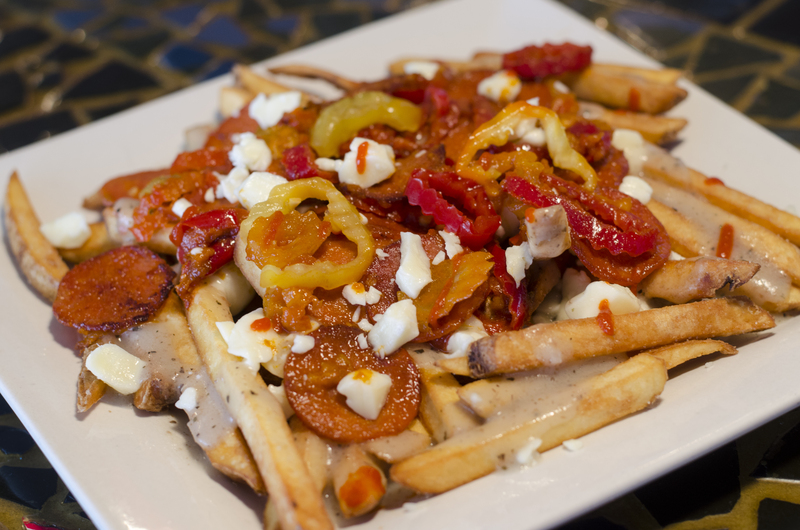 Hot Lips poutine from Phog Lounge in downtown Windsor, Ontario. Here’s a solid poutine at a venue most wouldn’t expect. Phog Lounge not only is one of the best live music venues in Canada (it was actually named just that by CBC), but, it also serves an all poutine menu that is delicious! My go to is the Hot Lips poutine, which has hot peppers, hot pepperoni and sriracha thrown on top of the fries, cheese curds and gravy. If you haven’t been to Malic’s Delicatessen in a few years, you need to head back. Since Montreal native, chef Alex Ethier, took over operations, the menu quality has been absolutely kicked up a notch. This man grew up making poutine, so he knows a thing or two. 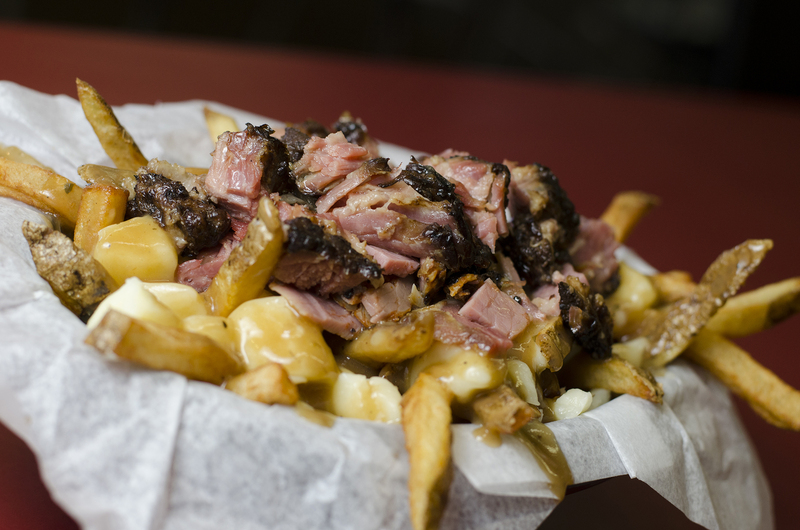 We recommend ordering the poutine with Montreal smoked meat piled over top. Delicieux! Windsor is an ethnically diverse city, as seen with this Shawarma Poutine from Mazaar. Windsor is an ethnically diverse city and it’s showcased beautifully through the foods that can be found. 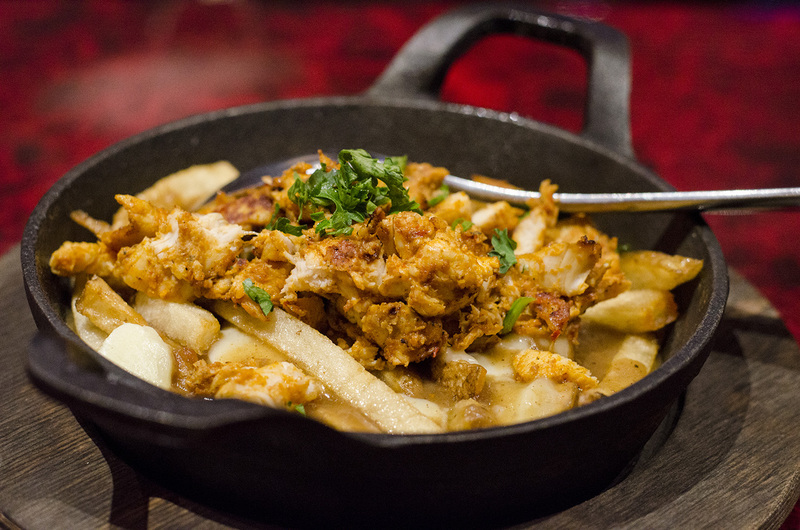 Mazaar created a perfect blend of Canadian and Middle Eastern cultures with their Shawarma poutine. There’s also an Italian take on poutine served up at Bread Meats Bread. The restaurant substitutes fries with pillows of love gnocchi in a bowl of gravy and cheese curds and then sprinkled with pork crackling.